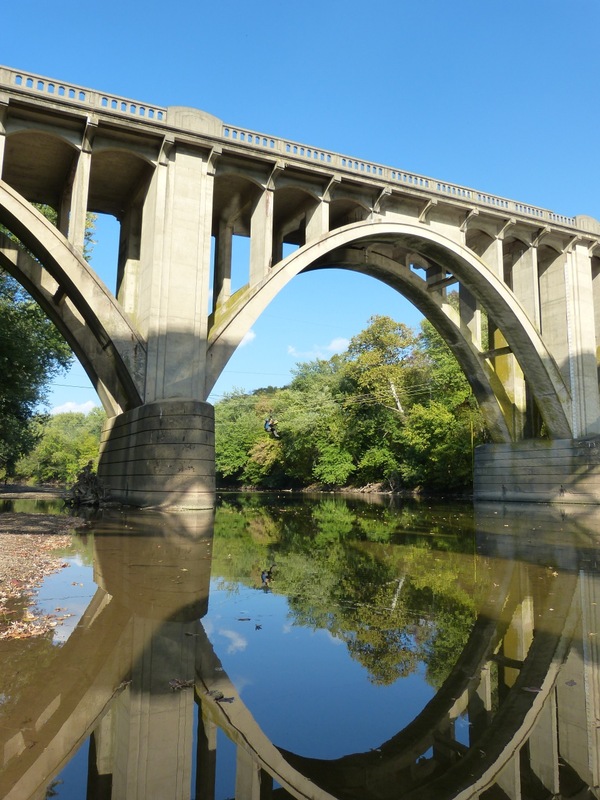 Beautiful reflection of the bridge in the Monocacy River. 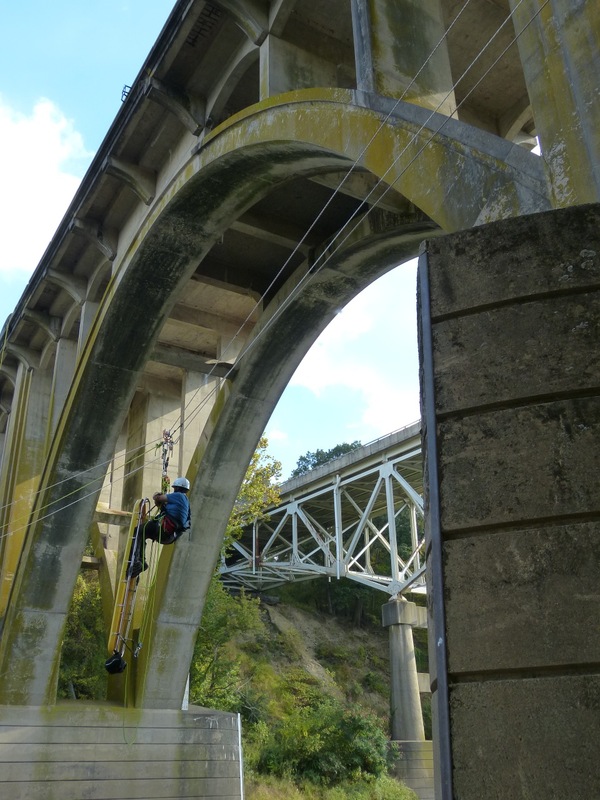 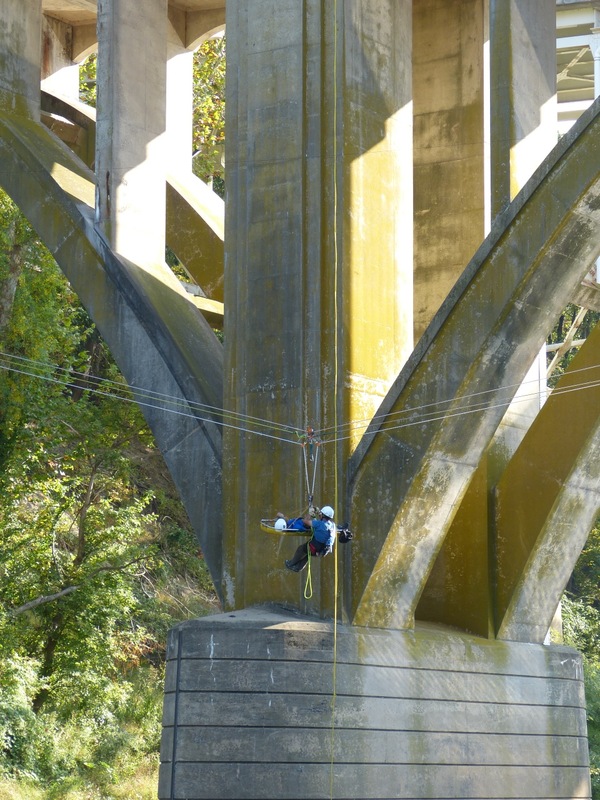 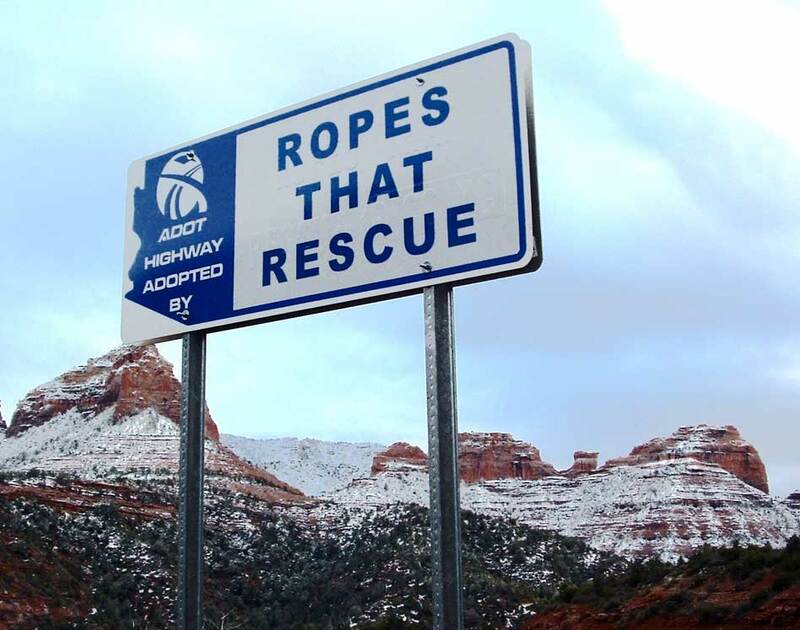 Students in the 2013 Maryland ASRW (Advanced Skills Rescue Workshop) constructed a long English Reeve Kootenay Style Highline across the Monacacy River in Frederick. 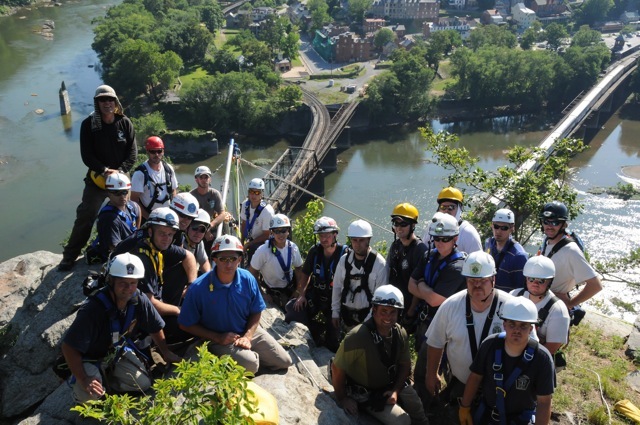 The group of students during the June 2010 Team Skills Rescue Workshop with scenic/historic Harpers Ferry across the Potomac River in the background. 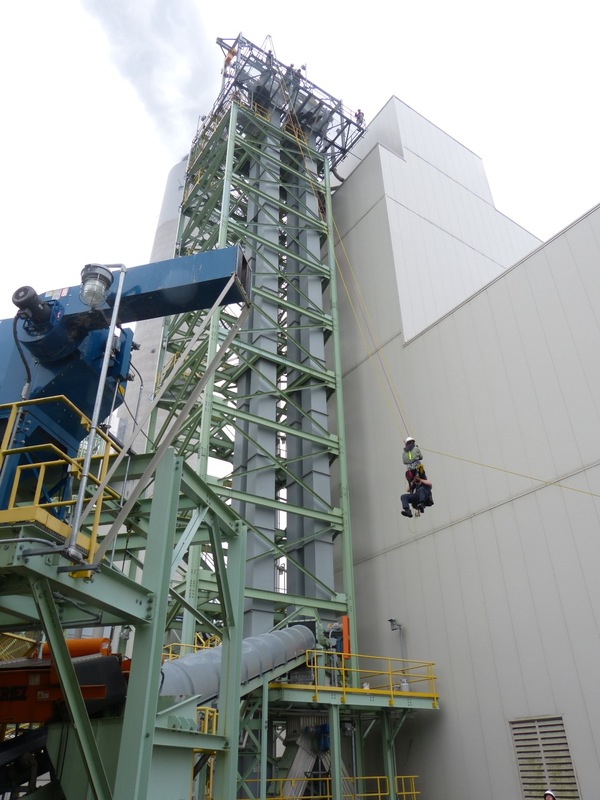 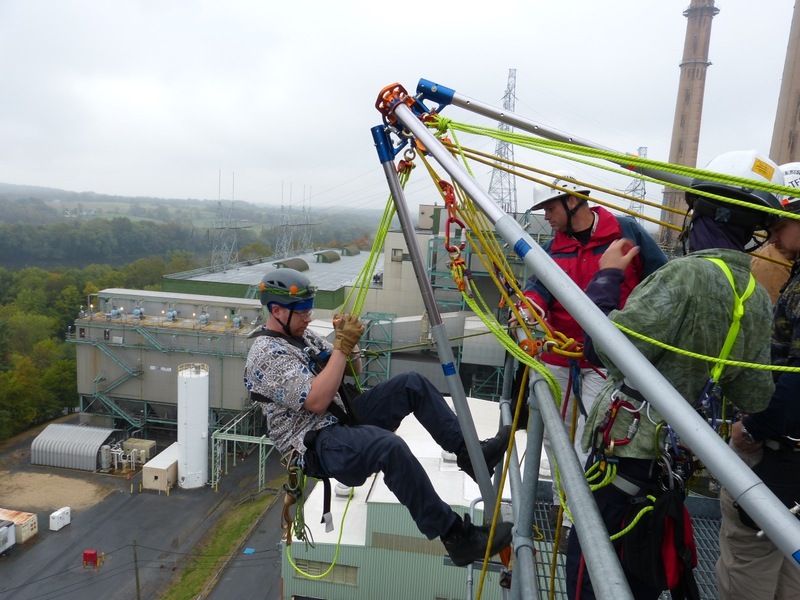 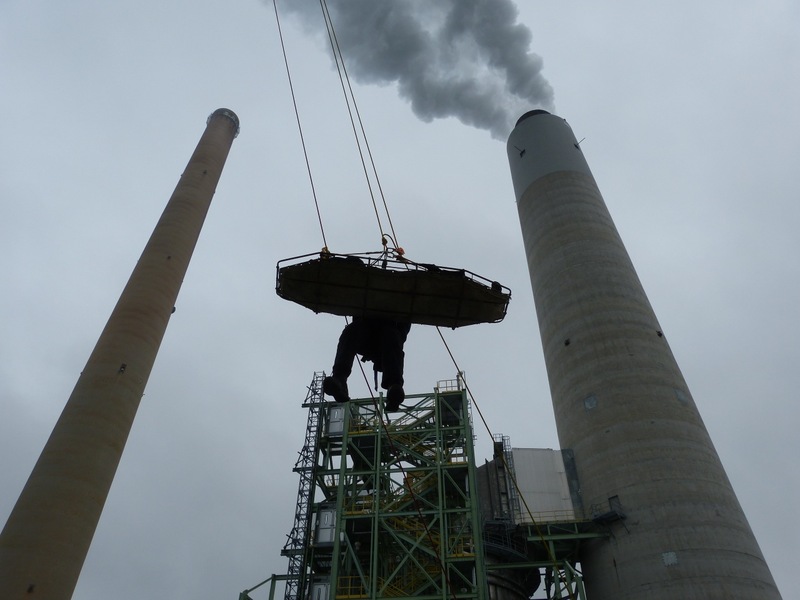 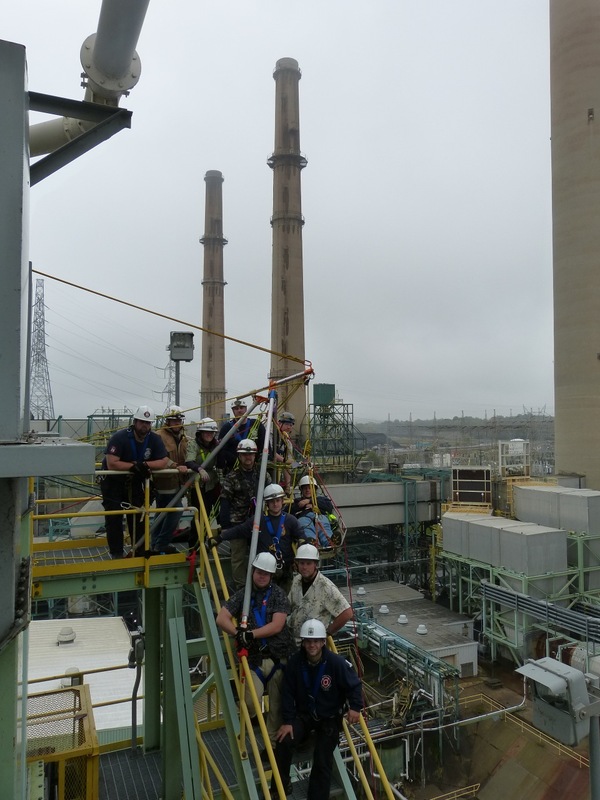 A "Lazy Leg" SA frame is constructed for this litter operation during the Maryland TSRW (Team Skills Rescue Workshop) at NRG Dickerson Generating Station in Montgomery County, MD. 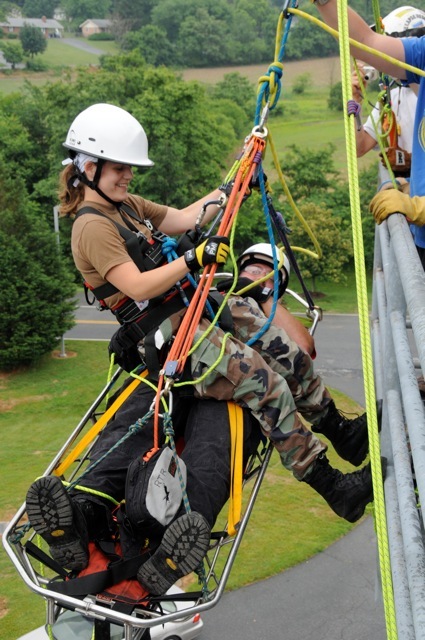 Note extensive use of AZTEKs in the exercise. 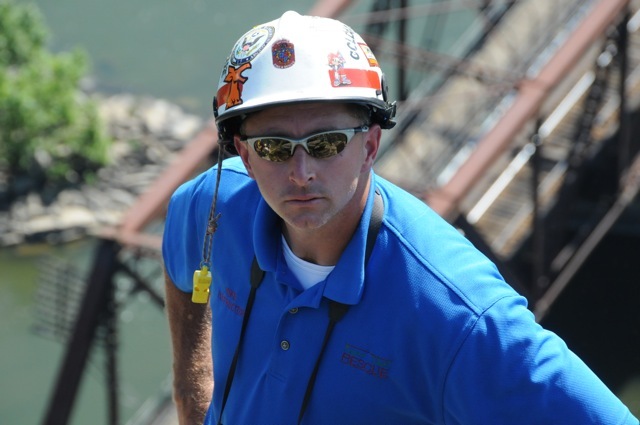 Mike Green is lead instructor. 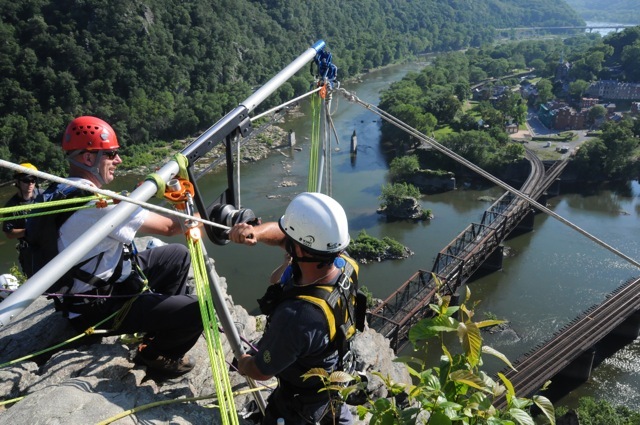 Students use the rope capstan winch manufactured by SkyHook for the raisings off an Arizona Vortex SA frame during operations at Maryland Heights overlooking Harpers Ferry, WV across the Potomac River. 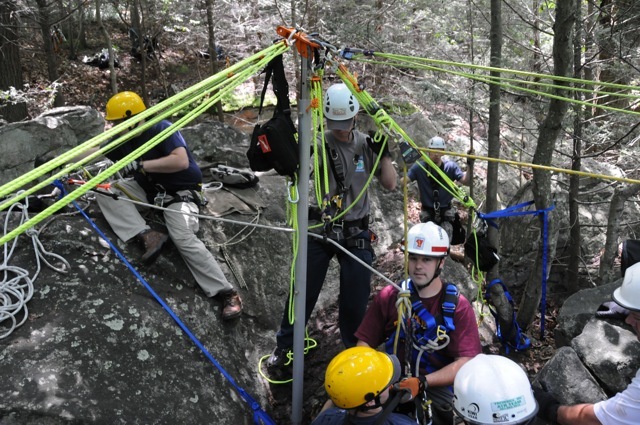 The wilderness sites around the Maryland TSRW (Team Skills Rescue Workshop) are well suited for using the AZ Vortex. 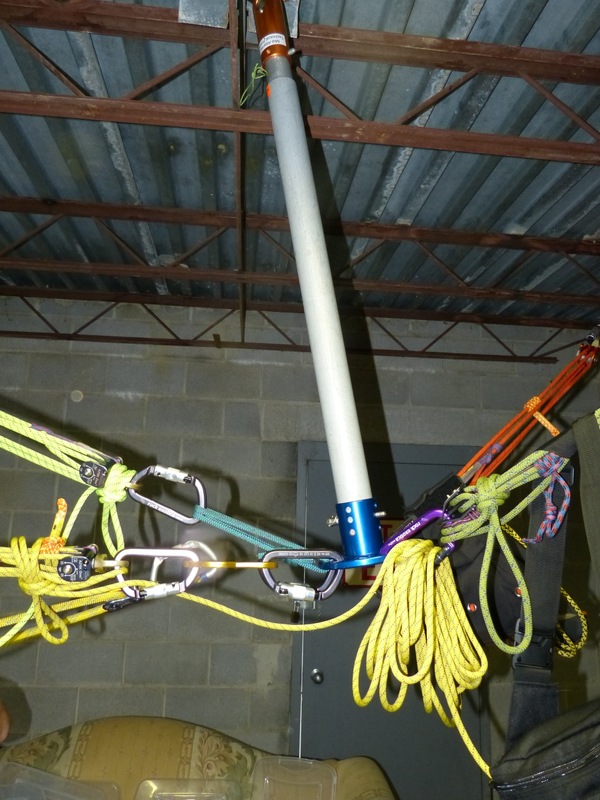 Here students use a gin pole monopod to lift a "victim" out of a 20' vertical crack below simulating a confined space exercise. 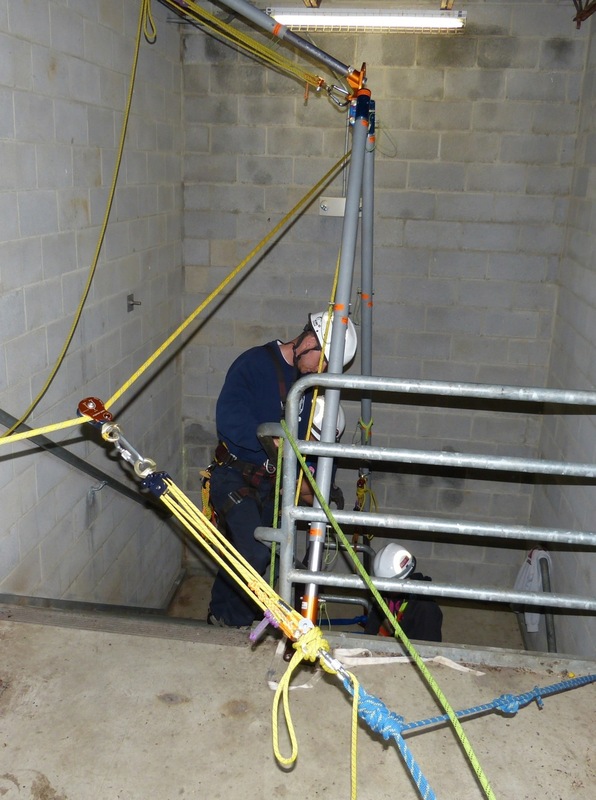 Operations turn indoor at the Frederick County Fire Training Center in Frederick County. 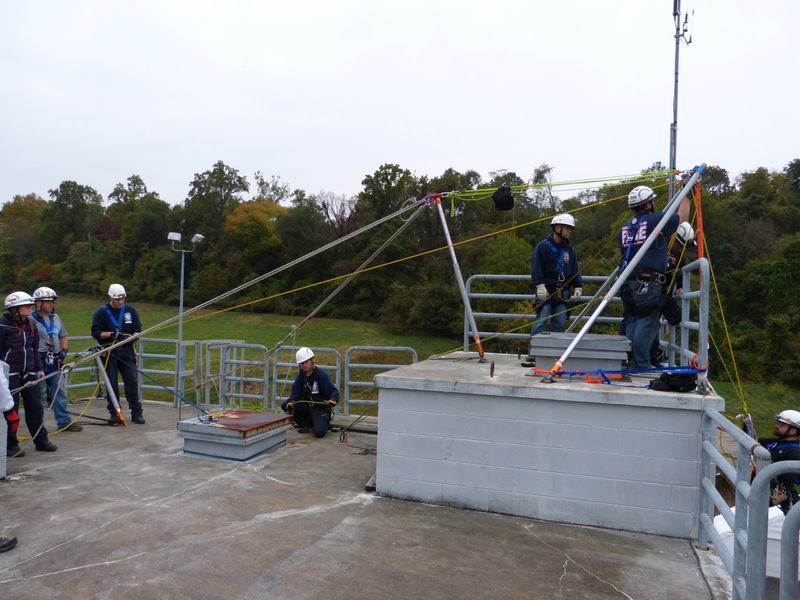 Here students of the 2014 TSRW (Team Skills Rescue Workshop) perform an operation for vertical lift up a stairwell using a lazy leg SA frame.